Elaine Hancock (Olney, United States) on 4 December 2018 in Animal & Insect. The babies were hiding in the grass. Their mother was close by. Ce n'est pas mon animal préféré. Jolie photo néanmoins. Arg.... runnnnnnnnn.... nasty little fella there, well captured. Il est presque invisible parmi les végétaux.Très belle capture. Dangerous, almost invisible as it is confused with vegetation! Look scary too !! Even their teeth may be sharp !! They are cute, the babies, from a distance. I don't think mamma would like it if you got to close. @beach: She did do some tail thrashing when someone got too close. A superb capture of the "baby " ! Cute looking now, but do not mess with the adults! What a great close-up with excellent clarity! Hopefully, mother wasn't too close to you! A beautiful capture of this little character. I would be wary of the big ones. That's an awesome capture of this little 'gator. 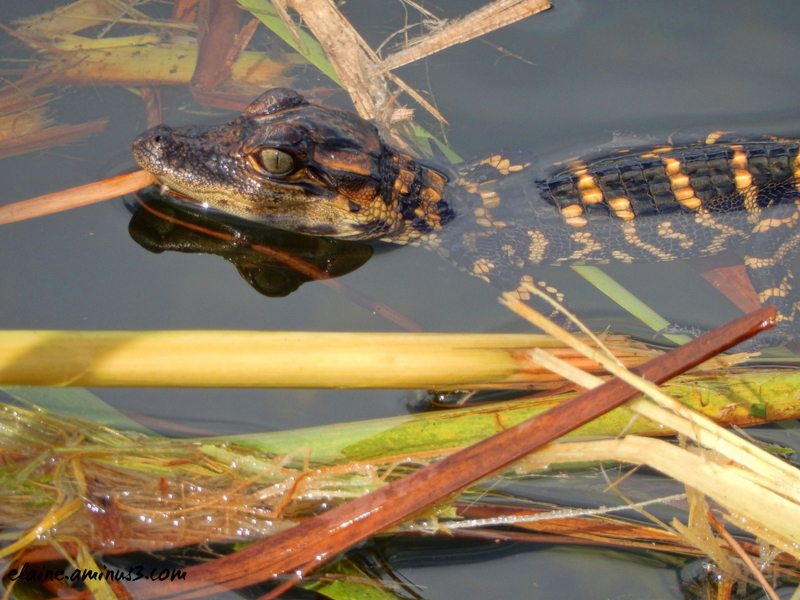 Even an alligator is cute as a baby. Cool shot. This is one baby I don't want to cuddle.